According to Dr. J. Stephen Scott on the website Missouri Health Matters, as many as 95 percent of all people who lose weight are unable to maintain their new weight loss. Being overweight is associated with several preventable illnesses such as cardiovascular disease and diabetes so it's important to lose weight and keep it off. Fundamental changes in your level of physical activity as well as a change of diet to include healthier foods are the foundation for a plan of weight loss that is realistic and easier to attain than a fad diet. Eating certain types of vegetables can provide both nutritional value as well as a low-fat, low-calorie source of dietary fiber. Carrots are a popular diet food that contains the most naturally occurring sugar of any vegetable. This can help flavor foods like salads and add a hint of sweetness to a plan of eating that may not include high-fat sugary desserts. Carrots can be carried almost everywhere and are available in regular size as well as smaller, and sweeter, baby size. Your body uses the beta carotene in carrots to manufacturer vitamin A which is important for good vision. In addition, carrots are high in dietary fiber that can help you feel fuller while eating fewer calories overall. Similar to carrots, celery is often used as a food to lose weight. Celery contains just 10 calories in a 1/2-cup serving, according to the U.S. Department of Agriculture. Celery is also high in dietary fiber and water content and contains small amounts of vitamins A and C. You can combine celery with reduced-fat peanut butter for a healthy snack that contains both fiber and water that can help keep you from eating unhealthy convenience foods. You can add celery to salads, soups and other dishes, and this versatile vegetable can be eaten raw or cooked. According to a 2008 study published in the "American Journal of Clinical Nutrition," individuals who consumed foods that had a low glycemic index lost more weight than those who ate high glycemic foods. Low glycemic foods like yams cause less glucose fluctuations than higher glycemic index foods like white potatoes. A yam isn't actually a potato, but a root vegetable unrelated to potatoes. Yams can however, be used in the same way as sweet potatoes, with less glycemic load so you don't become hungry soon after having a meal, due to a drop in blood glucose. Broccoli is an excellent source of vitamins A and C as well as dietary fiber. Broccoli also contains phytonutrients that can help prevent certain types of cancer. 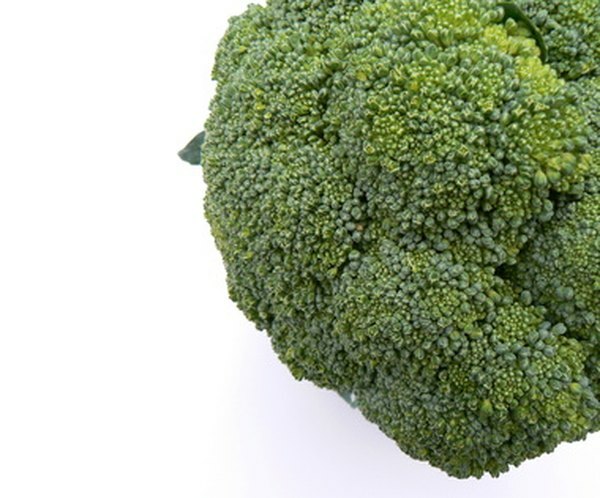 Most importantly, broccoli is low in calories and contains as much calcium as an equal amount of milk. Broccoli can help fill your stomach so you eat fewer calories and lose weight. In addition, if you're cutting back on dairy products to decrease calories, you can still get some or all of your daily requirement of calcium by including broccoli.